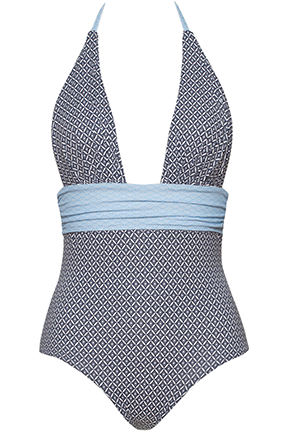 Founded in 2015, Daïva Collections is a French high-end swimwear and dresses brand. Its universe : Transpose urban fashion on the sand while revisiting classics with poetry, and reveal swimwear as a strong piece of your wardrobe. As a real travel book, the brand is inspired by patterns and colors from everywhere, and develops exclusive prints for each of its collections. The designer’s influences and intuitions give birth to original & retro styles, with «couture» final touches. Daïva Collections puts a point of honor to select the best materials for its swimwear, by choosing the best manufacturers in Europe. Each style is designed and created in France to showcase different types of morphologies. Fabrics, flexible, innovative and luxurious, are carefully chosen in Italy for their softness and strength. All the swimsuits are made in Portugal, a country known for its expertise in clothing. Gloria Binoche is passionate about travelling around the world. Sights, smells, and people are the fresco of her inspiration. Rocked since her childhood by fashion thanks to her designer mother, she draws all her clothes with a feminine touch that distinguishes them. 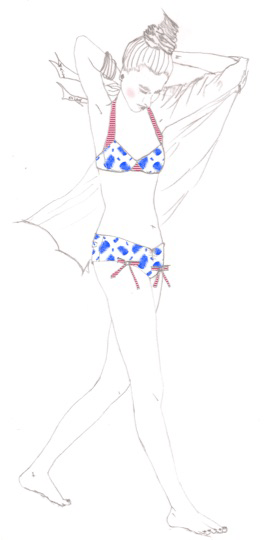 In 2015, she decides to mix prints and shapes by creating swimsuits with a strong identity and a sophisticated elegance. The Dalia one-piece, signature of the brand, dares the décolleté and maxi-bow in the back. In 2016, Gloria widens her collection by imagining flimsy dresses, which take up the codes and prints of the brand. Maxi, baby-doll or open-back : the 2016 collection is ethereal and falsely casual.